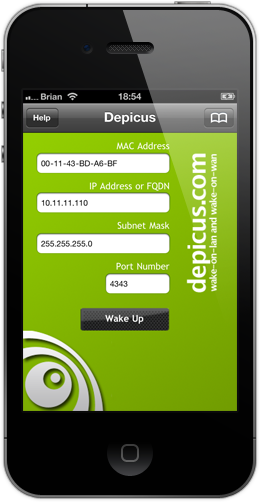 This is nothing new or exciting, it is just something I wanted to use recently – it is “Wake On LAN”. Why I need it?? coz I want to save some money, so I decided to cut down the power usage, one of the best way is to turn off my computer during day time while I’m at work. I used to leave it on 24/7 for BT, however it does consume a fair bit of electricity. Back to WOL, it is actually widely used even in the dialup modem age, it is just too annoying and slow of course. Right now, it is the high speed Internet age, hundreds of remote control software available, e.g Teamviewer, LogmeIn etc. More importantly, they are free to charge. The only problem is you have to leave your computer on all times, which isn’t what I want. So here I want to share a link that shows how and what to do to setup WOL. This is a very simple and straight forward website, you will be able to do this in 15 minutes. Once configured, you need to download a tool to wake up your computer, the above link is absolutely brilliant. It provides a GUI for you to input the require info, more importantly, it provides the application on different platform, I personally got the one on iPhone. So now, I can put my computer to sleep during the day, I can also wake it up via my iPhone when I need it. Beauty!